A guide to the new freelancer Career in The Sims 4. This new gig-based career allows you to work from home at your own pace. A tutorial teaching players how to install custom content and mods for The Sims 4 via a pair of examples, also seeks to define the different meanings between the two. In this video, we look at some trivia about how the movies and video gaming activities in The Sims 4 function. There's some depth to the mechanics here, which may come as a surprise to some players. Click the link above to learn about the new freelancer career, objects, and clothing coming in the April 16, 2019 patch. You can also Watch a Video Guide to Freelancer or stream it below. A guide to the fishing skill, with bait mechanics and how to complete the fish collection. I've just added a page about the fit/fat system: see here to learn about calories, maintaining muscle and losing weight. Includes a table of recipes and the calories they contain. A summary of what it's like to live outdoors in The Sims 4 with all packs installed. Includes advice for meeting needs while living without a structure and trying to keep things as realistic as possible. A guide to spring in Seasons. Includes information on The Sims 4's version of Easter with the Flower Bunny and Love Day (Valentine's Day). Covers springtime activities and the making of custom holidays. Learn about THe Sims 4's calorie system, which causes Sims to gain weight over time if they do not exercise. Includes information on fitness, the fit and fat hidden stats, and a list of foods that are best to eat to avoid weight gain. 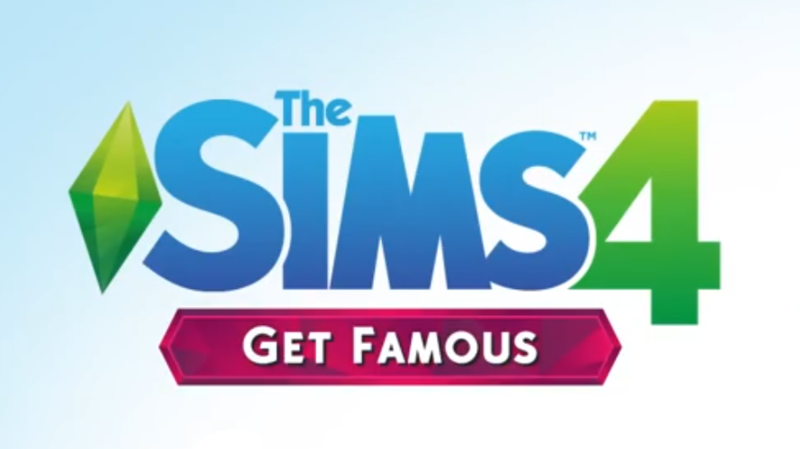 Click to learn about new features in The Sims 4 Get Famous, which has a release date of November 16, 2018.. I have launched a Youtube Channel for Sims 4 Gameplay Guides. You can check the Videos section of the guide for an in-house list. You can also request a video there, which may get me to bump it up on my to-do list. The list of things that need done is over 100 items long, so some things will take a very long time to get to. I want to eventually have a video version of every guide on the site. Mod for Spliced Rare "Bug"
Gardening Plant List Massively Improved - Finally got this one updated to include all DLC. Everything is listed! When you first start a game of The Sims 4, you may not like your house selection. Use this guide to Downloading a Nice Home from the Gallery to improve your options. This is one of many new player tutorials I'd thought of making long ago, with more to come. The Sims 4 Jungle Adventure Game Pack releases February 27, 2018. The new pack features an explorable jungle and temple, new skills, and lots of build/buy mode objects with a Mayan-style theme. Character values - A guide to the new Character Values system in the pack. Parenting Skill - The new Parenting Skill, central to the DLC. 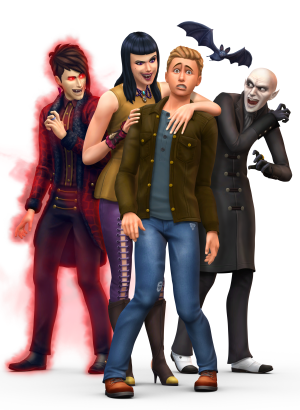 The Sims 4 Vampires Game Pack will arrive on January 24, 2017. This new pack features a new occult, with a detailed system for increasing their power. Toddlers are finally in the Sims 4, available as a free update as of today! Go download it, it's quite large. I've also written a guide to Toddlers which covers their skills, needs, and caring for them. Many people will point out this update should be free, they are correct. Sims Studio did the right thing in giving it to everyone at once, since Toddlers were notoriously absent from the base game. Our faith in them listening is restored. City Living Expansion - Read details on City Living Features. Social Media Career - Make money selling out! Singing Skill - Sing in the shower, make money, karaoke, or Serenade Sims. 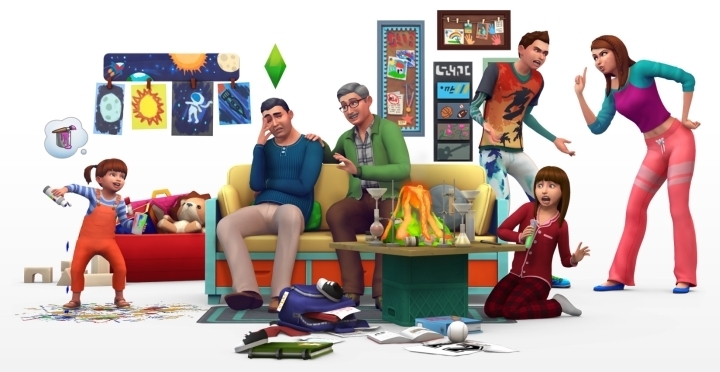 The Get Together Pack releases on December 8, 2015. I've started a Guide to Clubs, including how the club perks work. Guides to the new Dance Skill is coming soon - check below for DJ! 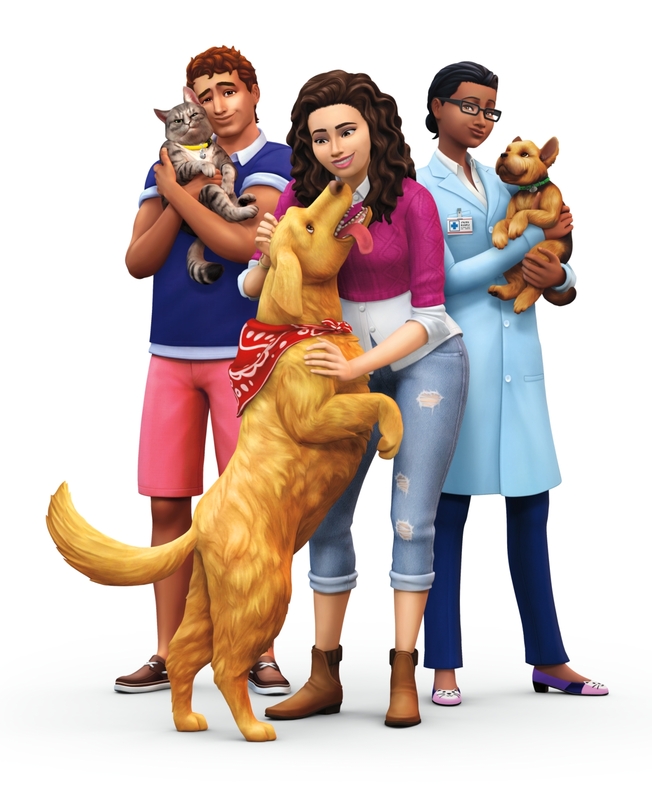 I'd like to extend my thanks to The Sims Studio for giving me the opportunity to get to know the Expansion before launch, so that I could provide info that may help people decide if they like the new pack. Send feedback to [email protected] if you feel I've made a mistake. It was a long weekend with a lot of caffeine. New: A guide to DJ Mixing Skill in Get Together. Coverage of The Sims 4 Outdoor Retreat is nearly complete. You can find information on the new skill, Herbalism, and the various Traits, Aspirations, Collectibles, and more that are listed in our Guide to the Outdoor Retreat Game Pack. Cheats for Money, Skills, Careers, and Testing Cheats that can lend you powerful control over the gameplay. You will also find helpful cheats to use when a Sim is stuck and links to more powerful, if lesser used, cheats. Learn to build a lovely home for your Sims that isn't a cardboard box. This tutorial is huge and covers everything from basements, to roofs, indoor/outdoor pools, indoor design, split levels/lofts, and even details on counters and islands. Use the build tutorials link to get started, as you'll learn the basics of The Sims 4's build mode there. She even goes into detail on Building Cheats to help you accomplish what would be impossible otherwise. Good stuff, courtesy of one of our Forum Moderators, who happens to be an excellent builder. Emotions are a part of the core Sims 4 experience and relevant to all players. Whether you're flirting it up with another Sim or trying to get Focused to Program a new Video Game, the Emotions System and its many features will help your Sim not only improve their Skill levels faster, but also increase the chances of success when using associated interactions. Read this Guide to learn all about the various Moods Sims can experience and how you can use the system strategically to help your Sims. The Sims 4 features 8 Career Tracks, all of which come with 2 Branches to choose from with very different possibilities. Many of the Careers are meant to compliment Skills, improving your use of them when at home by using the reward items' emotional auras. This Guide section features information on those Branches, the major reward items, promotion requirements, differences in pay and the Ideal Moods and Daily Tasks for each Career. The Sims 4 features 19 Skills, from the old standards like Charisma, Cooking, Writing, and Gardening, to some new ones - Video Gaming, Comedy, Programming, Rocket Science, and Mischief. Use this Guide to learn the Ideal Mood for each of the game's Skills, and find links to deeper information on each Skill. Learn about each Trait in The Sims 4 and what it will do for your Sim. Many provide Emotional boosts that help Skilling, while others may give you some perk that can be used in strategic ways. Other Traits simply give your Sim some personality and unlock new Social Abilities. This section is currently under development. Features a list of all the Aspirations, with information on the Reward Traits you'll earn for completing each of them. Use this list to help you spot anything that will get in the way of you completing one - for example needing a Career or, for Teens, needing to be an Adult to finish. Our Collecting Guide has information on every collection in the game and directs you toward pages that provide tips on completing those collections, as well as the rewards for doing so. Players who want to find everything in the game should enjoy this area. A Guide to Babies in the game. From having them to caring for them, this has all you need to know to get your baby raised up to Child without Social Services coming to take them away. Thankfully, if you don't enjoy this stage, you can raise your Sim Baby up to Child at any time! Learn all about childhood in The Sims 4, the requirements to get good grades in school, child Skills, and tips on managing a family by reading Pam's guide to Children. A collection of tutorials which may help players who are experiencing difficulty doing things in the game, like moving lots, households, backing up saves, or using the Gallery. We get asked often if a certain laptop can play The Sims 4. Since there are so many, I've listed the requirements on this page as well as tips for buying a PC that is capable of playing it. You'll also find help determining if your PC's graphics are capable of shader model 3.0, which is 100% required to run The Sims 4 and many other PC games. We're working hard to continue to develop the site. Until then, head over to our Forum to learn information discovered by our smart and friendly member base. If you'd like a place with some order and civility to it, this is the Forum for you! I diversify my gaming diet, and have written on titles such as The Sims 3, Civilization 5 (covering nearly every gameplay concept in detail), a Skyrim Guide (with writing on perks and skills, such as Alchemy, Enchanting, and Smithing). I love to pick games apart and learn how they work. To tide me over until Sims expansions are announced, I've taken up writing a No Man's Sky Guide, featuring a full walkthrough of the first few hours and I'm also working on a site for the indie hit Stardew Valley, a relaxing farming rpg simulation with pixel graphics. I've written on the game's 5 major skills: Combat, Farming, Fishing, Foraging, and Mining. As the game is updated by its lone developer I'll provide more content! My second current side project is for Fallout 4, along with its Far Harbor and Nuka World DLC. Fallout 4 is an RPG/shooter for mature players with deep character build customization, great gunplay, Settlements you can build, stealth, and strategic elements via its Vats targeting system. I waited to do this because too many guides were missing early on, but now comments are open. Adding the comments section allows users to get help from myself and other readers, in combination with our Sims Forum. You can share the little bits of info that don't quite belong in a guide but may be still useful to others. Of course, even I don't know everything, but by sharing info we can all get a little more enjoyment out of the game. Thank you for reading, your encouragement, and enthusiasm, Simmers. You're a great community. Carl i am forever in debt of gratitude for you and the awesome work you have done with the sims i have followed your stuff from sims 3 and above and your work has helped me in playing my game making it so much more fun, keep up the great work !! Thank you for writing the *BEST* sim guides on the internet. Can you write something about the mechanics of unplayed households? I would like to know, I have my reasons. Thank you! We have a fabulous guide written by Marian Taylor all about rotational play. You may find some answers about other households there. The Info Is Really Helpful Thank You Carl's Sims 4 Guide Thank You!! Or Whatever. Remove buff and add buff cheats aren’t working anymore for me. Are they working for anyone else still? The remove buffs cheats was removed from the game by the devs in a patch earlier this year. TwistedMexi's patreon has a mod on there for free you can use if you still want that specific cheat. Remember not to use it on a pregnant sim or a vampire as both those states will be removed. I have been using this site for quite awhile and I always look here first for answers. Thank you for providing this website. It is my go-to place for Sims 4 help. Have a few coffees on me. Thank so much! I just want to say thank you for all the hard work you put into these guides. Your site is my go to when I need help. Thank you! Thanks, Joely! Always nice to see that someone appreciates the site. I'm looking forward to covering the next Expansion, and this time will be doing both text and video guides. Ghosts that overheated can warm up sims via an unlocked interactionIf either one of these is done during the 'wrong' temperature (i.e if a ghost warms up a sim during a heatwave) it causes them to be close to the overheating death themselves. How do I find wands? I have a sim from a large family, I have raised her since birth, now she is grown and wants to move out, but the option to move out isn’t there. How do I move her to her own place ? my sims 4 is acting up. can I uninstall and reinstall game? Yes you can, all your saves will still be there. Might be a good idea to try a Game Repair first as it will be quicker to do and maybe solve the issue. My whole sims 4 apartment buildings keeps disappearing? What can I do to fix it? Sorry, I'm going to need more information before I can make a guess. Is this in build mode? or as you are trying to actively play your sim? Are you using mods? Are any of them outdated or broken? Have you tried to replicate the issue in a new save?